CORPORATE: FanFlips loves working with corporate clients. Marketing and branding staff, product, merchandising, and event planning personnel all have such creative and wonderful visions. This is where FanFlips excels. Any design vision is within reach. 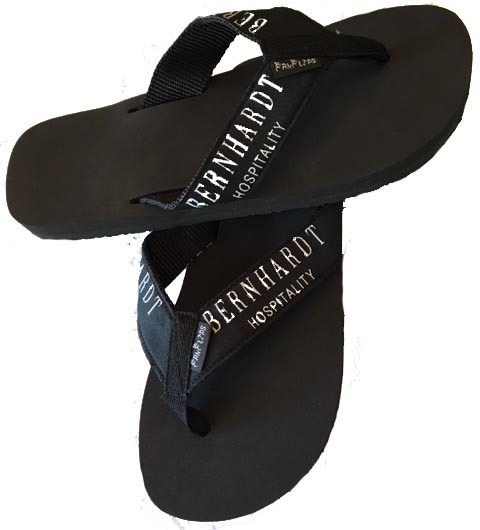 FanFlips provides custom flip flops that reflect any corporate and company designs. One example of our design and production capabilities is our work with Joe’s Crab Shack. They have a very unique merchandise branding design and color scheme. 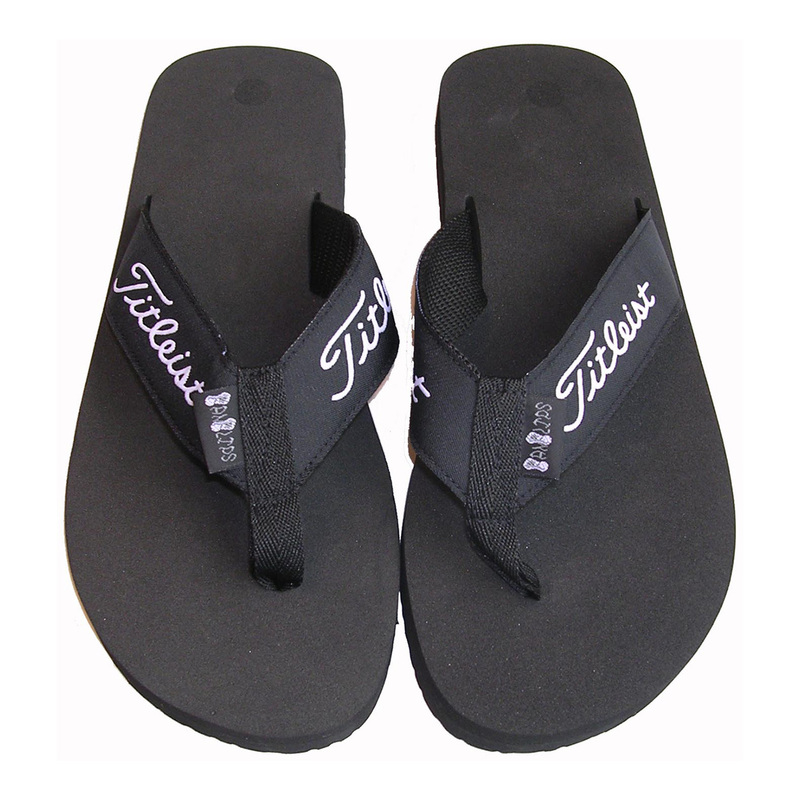 We took that vision and produced flip flops that reflected their most widely known design, but we also an alternative “peace symbol” polka dot design, coupled with the tag phrases. 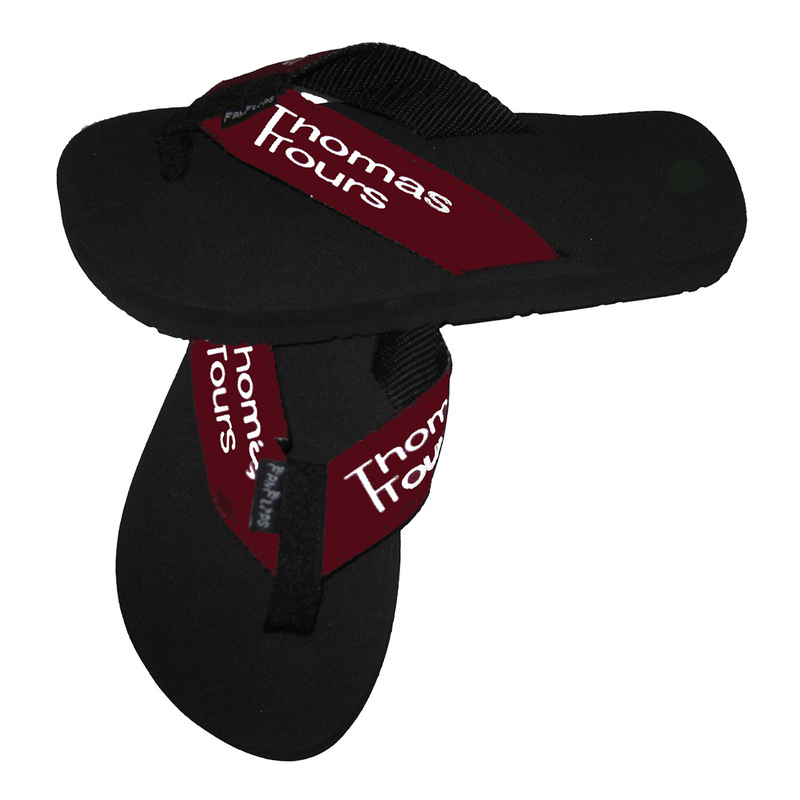 FanFlips also works with House Of Blues merchandise staff to design and produce flip flops that reflect specific branding messaging. We designed straps that incorporated their logo on the straps, but on alternating straps were the branding phrases HAVE BLUES… and WILL TRAVEL. 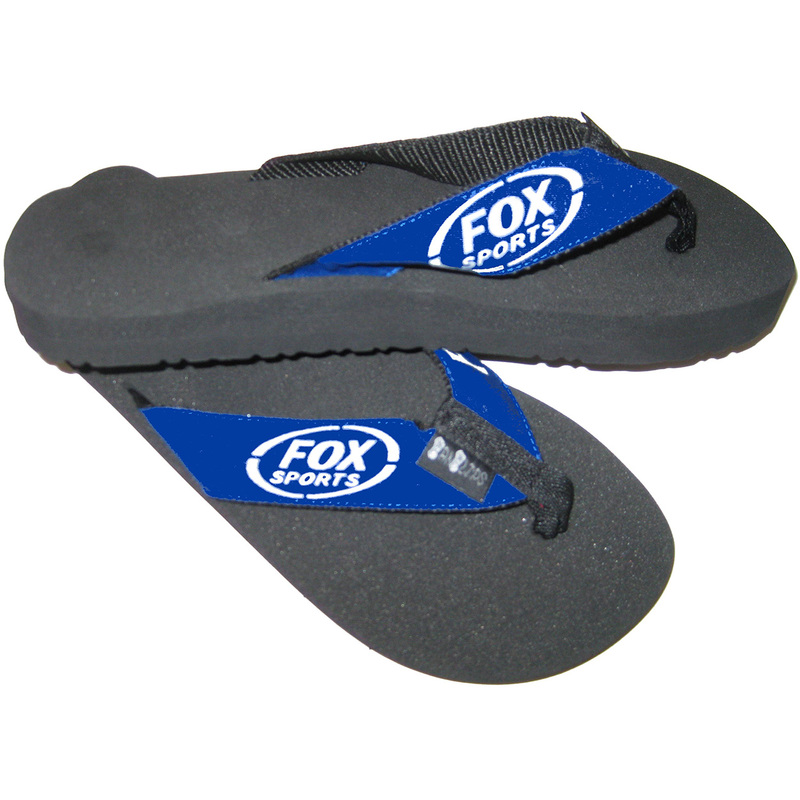 The footwear can represent content for branding purposes, product launches, convention and conference events, and marketing and promotional initiatives. FanFlips will work with you to design the strap content that best supports your objectives. You share the idea and we will take it from there. The strap content is embroidered. FanFlips can inventory and drop ship on an “as needed” basis.